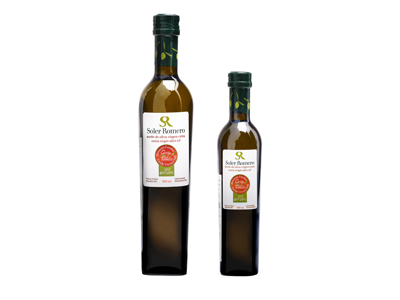 1.- 100% PICUAL: The healthiest and most stable variety, with the highest oleic acid and antioxidants content. 100% picual, unblended. Main variety of our olive groves is picual. Picual is the olive variety that offers more oleic acid and antioxidants. These components are responsible of the goodness of olive oil for our health. Its higher polyphenol antioxidant content protects the oil from deterioration and oxidation, just as those same polyphenols protect us. Thanks to its high level of antioxidants, the picual oil is the most stable olive oil, it is highly resistant to rancidness. 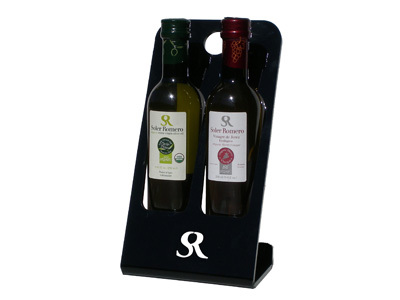 Picual retains its quality characteristics, two or three times longer than any other variety of olives. It is not common to produce a picual olive oil as careful as we do. A good picual olive oil surprises you by its richness of aromas and by its perfect balance of fruitiness, bitterness and peppery. It is never too bitter as other picuals mass produced often are. 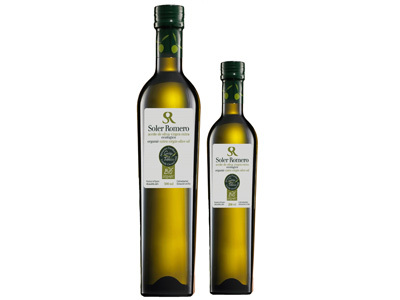 If you are interested in good extra virgin olive oils for a while, perhaps you selected variety arbequina when you first went into the world of quality oils. 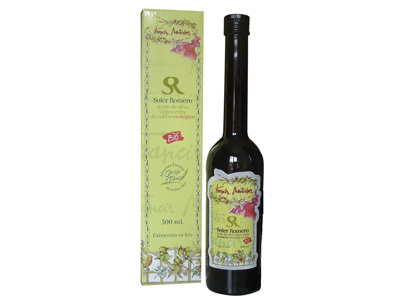 Arbequina oils are mild fruity oils with no peppery and no bitterness, it is a good start for beginners. A good picual is the next step. 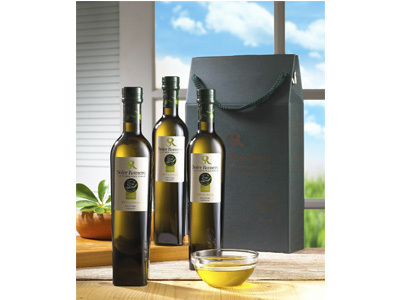 Flavours in olive oil are determined by a wide range of factors including the type of olive, their ripeness at harvest, growing conditions, crop maintenance, handling of fruit from tree to mill and finally the milling process itself and the storage conditions. 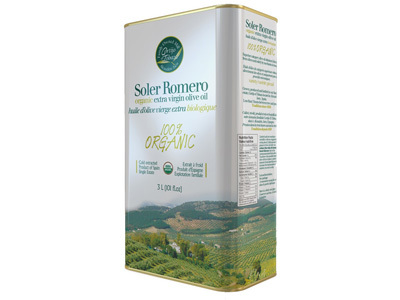 SOLER ROMERO EVOO is elegant body oil, with amazing complex flavours, appreciating herbs notes of green olive leaves, and a variety of fruity notes, mainly to green olives, and also tomato, artichoke, almonds and apple. Fruitiness in perfect balance with pleasant light bitterness and peppery. 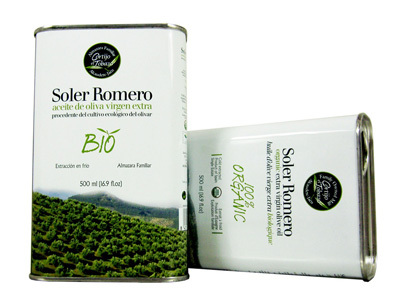 A good picual as SOLER ROMERO will elevate any dish, enhancing, but not hiding, the flavours of the ingredients. Colour: Golden yellow colour with greenish notes. Clean y bright. Aromas-Nose: The intensity of the aroma increases when the oil is between 25-30⁰C and is contained in a glass covered by a lid. Before proceeding to smell the oil, we recommend you to gently stir the glass, uncover it and smell deeply. This way we can appreciate very easily the intense fruitiness of the green grass and olive leaves with touches of green fruits like olives, tomato and artichoke. Taste-Palate: Confirms nose herbaceous sensations. Sweet entrance, coming into the mouth we appreciate in the front part the taste of green olives, almond, artichoke, and olive leaves. Once it is in the back of the mouth it has an aftertaste of a medium bitterness in balance with the intensity of the fruitiness, pungency is less perceptible, ending with an aftertaste of green olives and a high persistence of the retronasal sensations. Conclusion/ Harmony: The intensity of the green fruitiness is balanced with the bitterness and green flavour and aftertaste that stays at the end of the tasting.